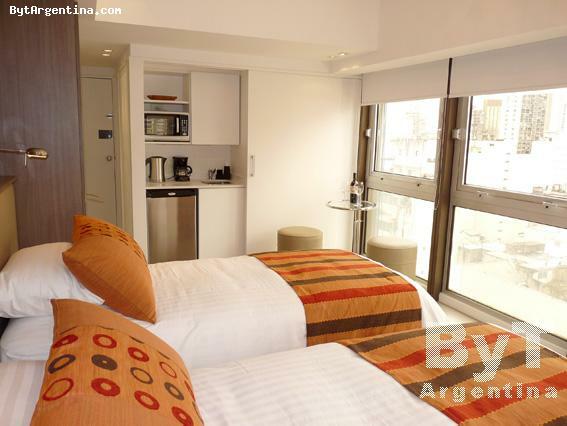 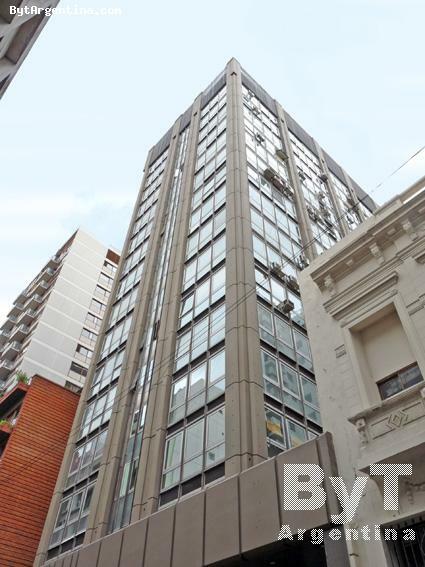 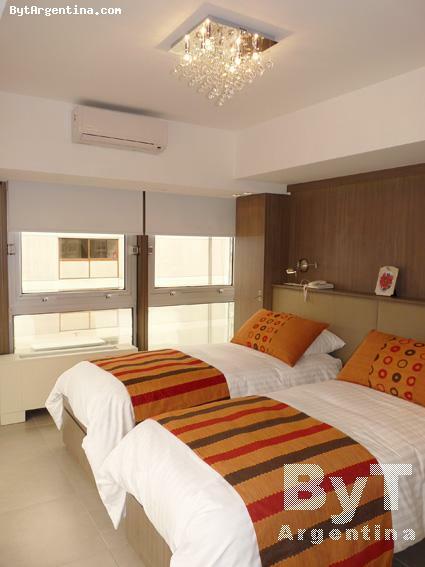 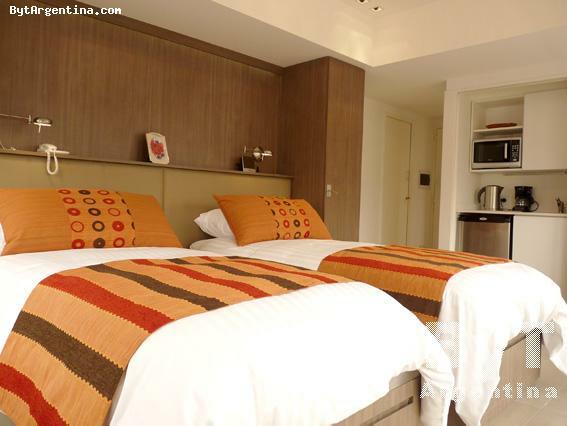 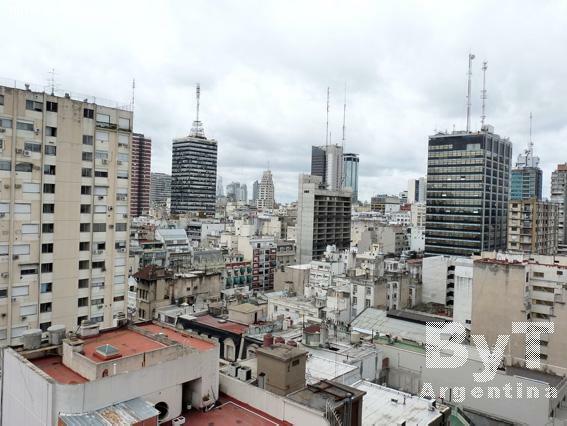 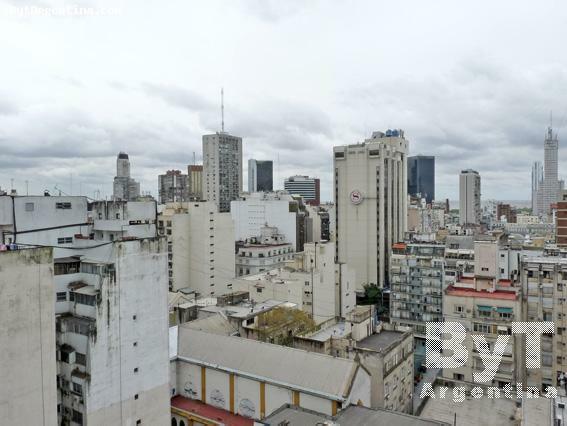 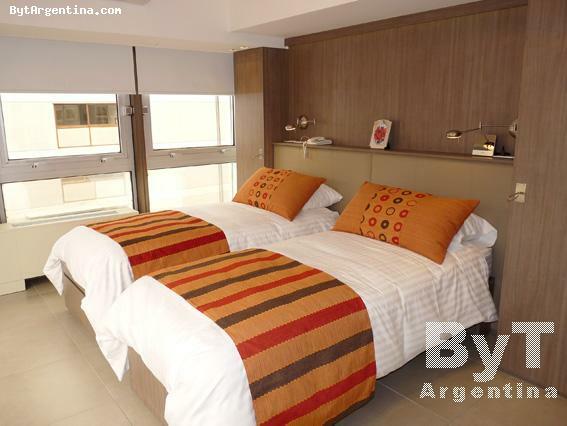 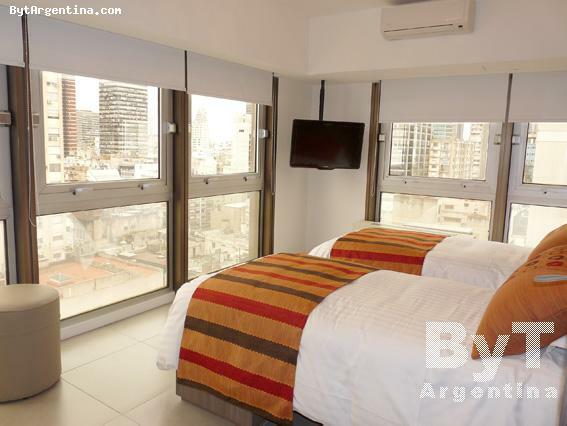 This is a bright apartment greatly located in Buenos Aires city centre, very close from the elegant San Martin Square, the famous Florida street (pedestrian), the Galerias Pacifico mall, and a few blocks away from the 9 de Julio Avenue and the Colon Theater. 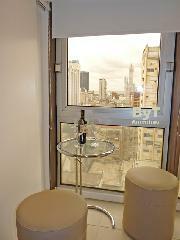 The flat is on the 16th floor and was fully remodeled. 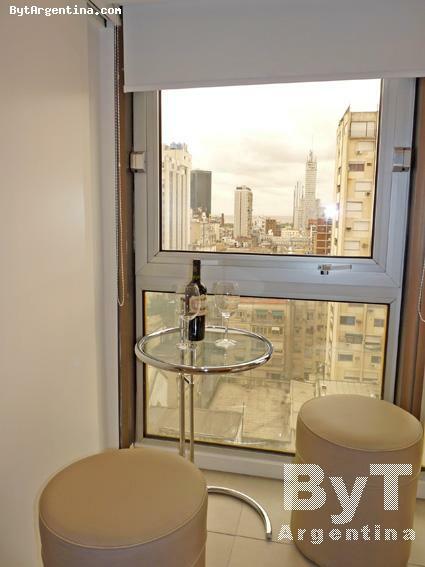 It offers an amazing view on the city and the river at the bottom. 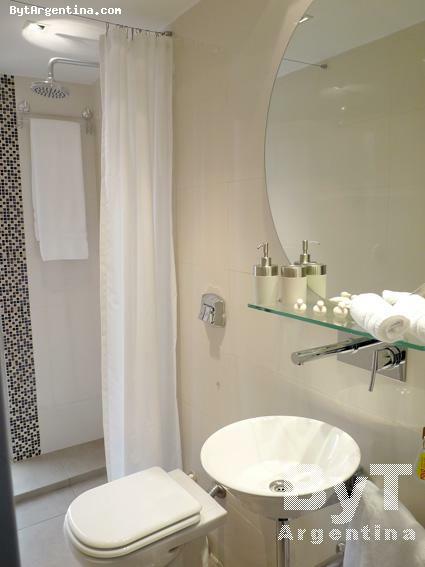 The apartment has two comfortable twin beds (queen size bed is available upon request), an equipped kitchenette and one nice bathroom. 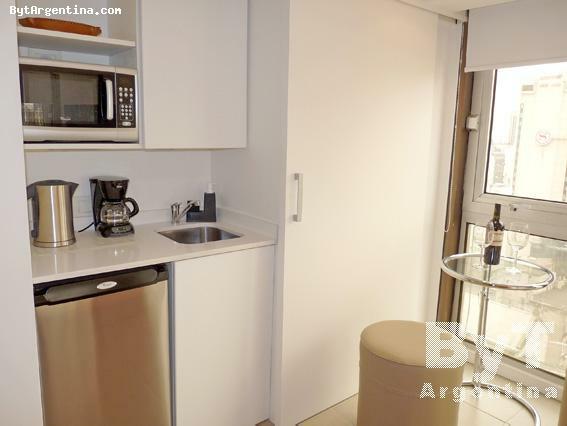 It is equipped with Wi-Fi internet access, satelital TV, air conditioning (cold-heat), safe-box, fridge, microwave, toaster, coffee maker, electric kettle, dishes, linens and towels. A cell phone that works with pre-paid calling cards is included. 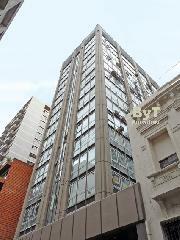 The building has 24 hours doorman. A very comfortable option, warmly decorated with an excellent location.